Team meetings cost you more than you think. Here are 6 ways to get the most out of them. Meetings are energy and time vampires. 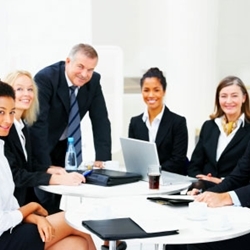 Sales people estimate they spend up to 40 percent of their time in internal meetings. Internal meetings! That means they are not prospecting, networking, presenting, writing proposals, closing or serving customers. Team meetings cost you more than you think. Here are 6 ways to get the most out of them. Meetings are energy and time vampires. Sales people estimate they spend up to 40 percent of their time in internal meetings. Internal meetings! That means they are not prospecting, networking, presenting, writing proposals, closing or serving customers. When you bring people together, it should be to change, develop, stop or start something. Informing, keeping in the loop and getting everyone on the same page are bad reasons for 0meetings. There are other tools for that communication. Meet to do something.